I was first introduced to the Society of Northern Alberta Print-Artists (SNAP) in March of this year when I attended their Drink and Draw event, a casual affair for both creative and non-creative types, to get their artistic juices flowing. I was enticed by the Drink and Draw event because it was something different to do on a Saturday night, and it was an event that combined art, live music and drinks all in a social and inviting atmosphere. As a result of the great experience — playing Pictionary, a giant version of connect-the-dots and participating in blind life drawing (drawing without being able to look down at your paper), as well as mixing and mingling with the other attendees — I signed up for a silkscreening class, just one of many workshops offered at their downtown location on Jasper Avenue and 121 Street. The workshop was led by illustrator Andrew Benson (who has previously designed Royal Bison tote bags). 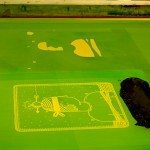 In addition to silk screening, SNAP offers classes on etching, photography printing (printing your own black and white photography postcards), plate lithography, letterpress and more. 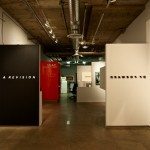 As both a studio and gallery, SNAP is a unique space in Alberta that allows for research and innovation in printmaking, but also discussion and examination of critical and theoretical issues related to the medium. Although the studio offers courses and workshops, it is not a school. The studio serves as a place where people can go to work on their art, but also learn from both other artists and workshops. 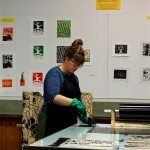 In other words, the studio deftly straddles the line between acting as an educational space and a print-making studio. 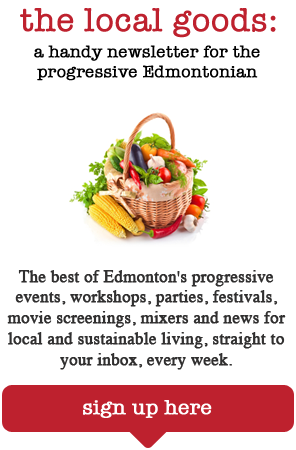 Additionally, should you choose to become a SNAP member, you are able to rent studio space, receive discounts on SNAP workshops and select events, and receive a subscription to SNAP’s biweekly e-newsletter. Membership also gets you a discount at certain art stores in town. However, you do not have to be a member to take part in any of SNAP’s workshops, attend community drop-in events, or take advantage of Open Studio Saturdays (time slots on certain Saturdays where members of the public can pay a set fee to work in the studio). SNAP also hosts a variety of unique events such as the aforementioned Drink and Draw, the SNAP Members Show and Sale (where members can sell their work), and print-making sessions for the public where SNAP artists are available to assist. 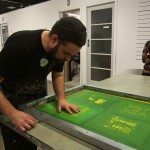 In September 2015, they also held a Nuit Blanche event where members of the public could come into the studio space between 7 p.m. and 4 a.m. to choose from a range of quotes and images to create glow-in-the-dark original fine art prints to light up the night. 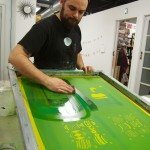 Perhaps SNAP’s most prominent event of the year is The Print Affair which is an event held every year to celebrate the season and indulge in delicious food and cocktails, participate in print-making activities, bid on fine-art raffles, and take in stellar live entertainment. This year’s theme is “Bows & Stripes,” and tickets for the Dec. 5 event can be purchased on Eventbrite.